In general, mental health issues among people with diabetes are overlooked. This is a troubling fact because psychological conditions can compromise diabetes care and increase risk for serious complications. Living with diabetes can be hard. For this reason, One Drop wants you to know that you are not alone. We are in this together. Let's learn to think critically about mental health management and how to get help for ourselves or someone in need. While anger is a normal reaction to diabetes, it can contribute to diabetes burnout and damage social relationships. Research shows that identifying our triggers (what makes us angry) can help us to react in a more thoughtful, healthy way. Learn how to experience your anger, acknowledge it, and then release it through positive action. For example, you can have a mindfulness practice (meditation), journal, walk, or listen to music. Many people feel anxious about how their friends, family, and colleagues perceive their condition. It is also common to agonize over long term health implications of diabetes. Excessive worrying and other symptoms of anxiety—shaking, heart palpitations, sweating, crying—can be difficult to control. Appropriate stress management may be key to avoiding anxiety. Consider breathing exercises, yoga, hypnosis and talk therapy. Do you blame yourself for your diabetes? Do you experience guilt when you veer off course from your treatment plan? Intrusive, guilty thoughts affect your mental and physical health (including blood sugars!) Most noteworthy, excessive guilt is associated with substance abuse, suicidal tendencies, and isolation. Take small steps. Make small changes in your behavior to better manage your diabetes. Check your blood glucose one more time per day, or add an extra serving of low-carb veggies to your dinner each evening. Find your tribe. Instead of shutting down, join a diabetes support group or confide in a person you can share your stories and emotions with. Be kind to yourself. Rather than beating yourself up for a "slip up", imagine you are talking to a friend. Think about how you can handle the situation with love and without placing judgement. The daily stress of living with diabetes and managing the risk of complications can leave you feeling overwhelmed, run down, and isolated from friends and family. Talk to your doctor! Your healthcare provider can recommend the appropriate treatment plan — medication, diet and exercise can all be effective. Certified Diabetes Educators (CDE) are an excellent resource. They have comprehensive knowledge of and experience in diabetes management. A CDE can provide suggestions and help you make adjustments in a variety of areas that may affect your mental health—food (including meal planning), getting active, and communication with your health care team. He or she can also identify problem areas you may not have noticed, to give you the tools you need to talk to your doctor effectively. Most importantly, a CDE provides support and encouragement. Get your own CDE with One Drop | Experts! You get everything you need right on your mobile phone: ✓ One-on-one coaching from a live CDE ✓ Unlimited messages (reach out anytime!) 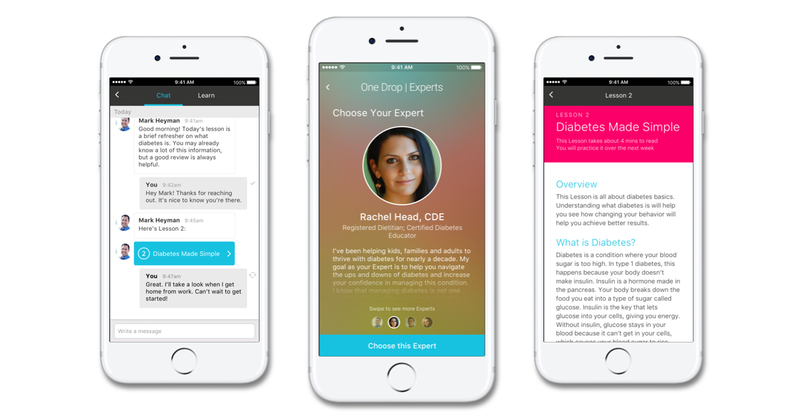 ✓ On-demand advice and support ✓ Curated educational content ✓ Personalized insights One Drop | Experts is free with any One Drop | Premium or One Drop | Plus test strip subscription. Learn more about One Drop | Experts here!